Great American Sports Fans - View topic - The Bandit has passed. View topic - The Bandit has passed. Don't bite me, you little @#$%! Burt Reynolds died today. I've lost count how many times I watched "Deliverance" and "Smokey and the Bandit". RIP, Burt. Re: The Bandit has passed. Rest In Peace Burt. Justice, Bandit and Snowman together again. So many great movies. Bandit, Boogie Nights, two versions of The Longest Yard, Deliverance and The Man who Loved Women. irishmark wrote: So many great movies. Bandit, Boogie Nights, two versions of The Longest Yard, Deliverance and The Man who Loved Women. 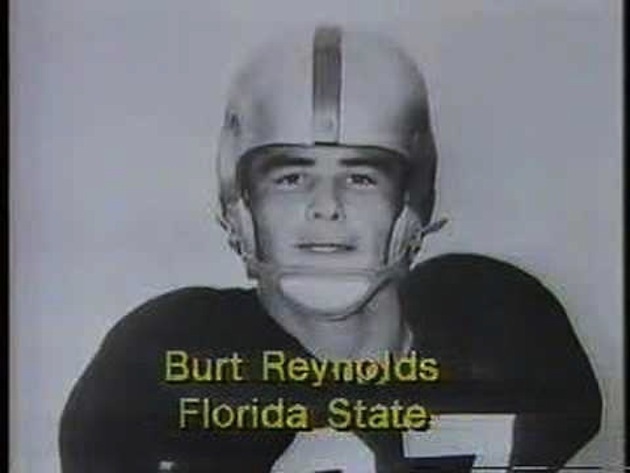 FSU will have a sticker on their helmets in memory of Burt today. irishmark wrote: Rest In Peace Burt. Justice, Bandit and Snowman together again. He was awesome in Boogie Nights..